Yes, I know, two Denmark posts in a row. But my husband and I started binge-watching Vikings on the History channel a few weeks ago. So it seemed only appropriate to talk about one of the drinks we bought in Denmark last year: Viking Blod. 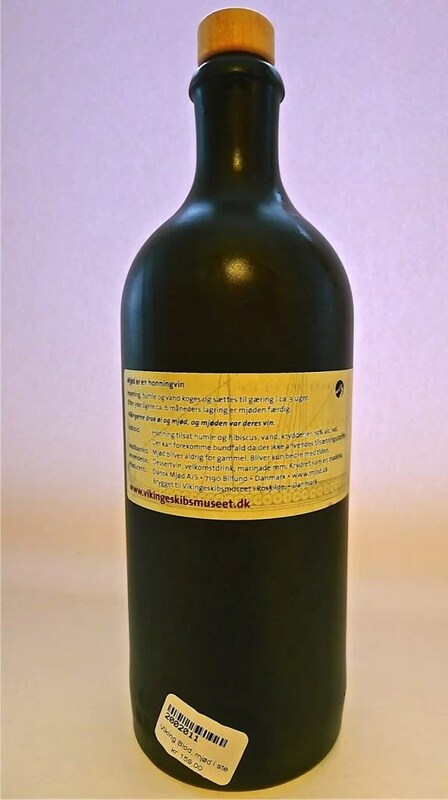 When we visited the Viking Ship Museum in Roskilde, we saw bottles of this liquor called Viking Blod. The bottle alone weighed a ton, and there were a couple of different flavours/varieties available. We decided to wait until the end of our visit to purchase it though. We really didn’t fancy lugging this heavy bottle around all day. In the mean time, we had lunch at the museum. The shared platter we ordered came with mead, which is a drink made with fermented honey. I overheard a fellow at the next table over trying to describe what mead was to his uninitiated companion. But frankly, his explanation didn’t make it sound very appealing, and his friend just shrugged his shoulders with disinterest. I’ll try to describe it better for those who haven’t tried it. Mead tastes somewhat similar to port or ice wine. It’s sweet, and almost a little syrupy, but with a slight warmth and even tangy-ness due to the alcohol content. Although we drank it with our meal, it’s probably more suited as an apertif just because of its richness. 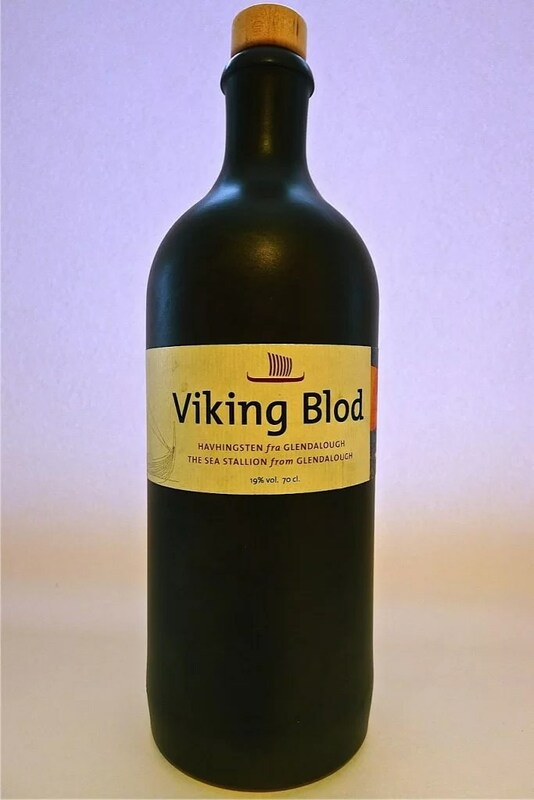 Viking Blod has 19% alcohol content, so anything more than a full wine glass and you’ll be more likely to fall asleep in the bottom of your longboat than to paddle it to your next adventure. Nothing like a nice glass of Viking Blod to fuel your rage before battle! The bottle itself was solid. It had the weight of stone but I imagine it’s just very thick glass.Either way though, we weren’t too worried about the bottle breaking in our backpacks. We were more concerned about having to lug it around for the rest of our holiday. But it’s worth it to bring back something unique to share with friends. This particular mead was also brewed with hibiscus flowers, which gave it an added citrusy touch, a bit like rosehips (for those who haven’t tried hibiscus tea before and might not have a point of reference). All in all, a nice little tipple, (in moderation). And if you happen to be drinking it while watching Vikings, so much the better! Viking Blod mead with hibiscus adds a beautiful rosy color! This entry was posted in Denmark, Sociable! Drinks Around the World - Liquor Reviews and tagged Denmark, liquor review, mead, Viking Blod, Vikings, wine by Darlene. Bookmark the permalink.